Bashers Basics – The Bench – Edition 1 – The Table « Big Squid RC – RC Car and Truck News, Reviews, Videos, and More! Welcome to Bashers Basics’ “The Bench” series. 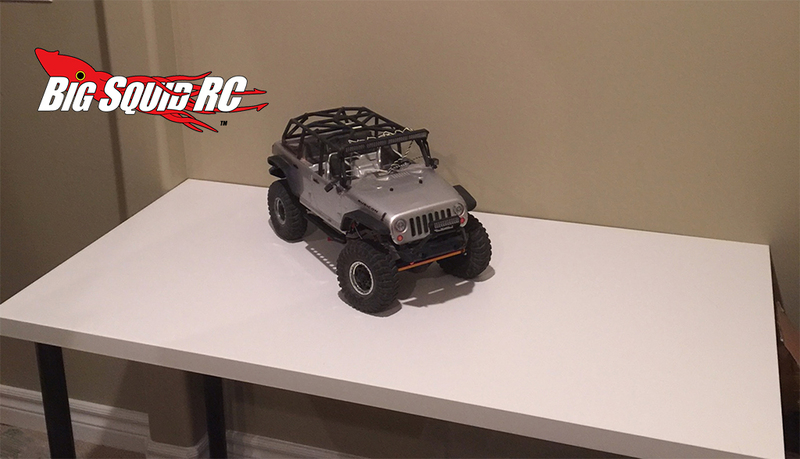 We will be going over ways to construct, arrange, and improve your rc workspace! In this, the first post, we will be talking about the table. As one of the most crucial and yet basic parts of your rc workspace, you want to make sure that you are in a quiet, low traffic area so that you aren’t disturbed while wrenching, and that no one “accidentally” knocks over your screw bucket. Try to find a space that is in a warm, dry, pleasant area, so that the fine tuning of your car doesn’t have to be done through gloves! There you have it, a table right there just for your rc stuff! See you next time to learn about parts organization. Keep Bashing!